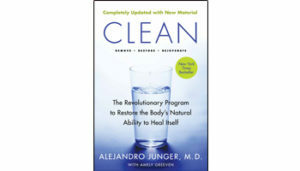 When I started working at HarperOne over two years ago, we were getting ready to publish the paperback edition of Clean. A handful of people in the office had already tried Dr. Junger’s cleanse and were singing its praises. 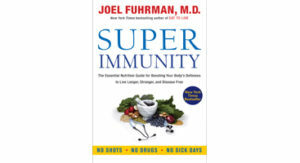 The health consciousness of the office had a reasonable effect on me and my diet so I never felt the need to do something as dramatic as a detox. But then the 2012 holiday season came around. 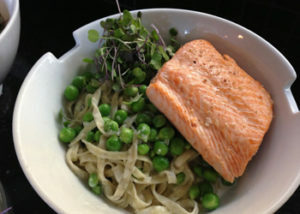 With the holiday weekend fast approaching you might be looking for a side dish to wow your friends and impress at a BBQ. 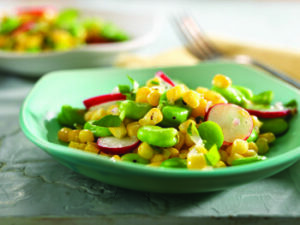 From his new cookbook, Art Smith’s Healthy Comfort, this recipe for a fava bean, radish, and corn salad gives you a festive, tasty, and seasonal option for your potluck contribution. 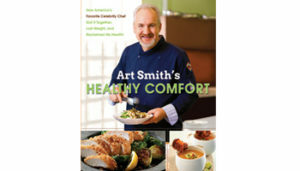 Did you miss Chef Art Smith, author of Art Smith’s Healthy Comfort, on The Talk yesterday? Don’t worry, watch him making his guilt-free comfort food and then get the recipes to try on your own!